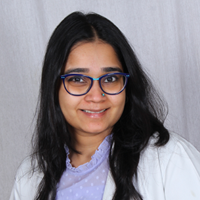 Dr. Shraddha Uprety, Dermatologist at AK Clinics has more than 5 years of experience in the field of Aesthetic Dermatology, dermato-surgeries and hair restoration. 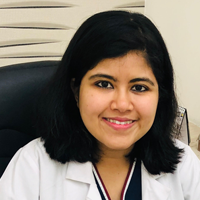 She completed her M.D Dermatology, Venereology and Leprology from the India’s one of the top institute PGIMER (Post Graduate Institute of Medical Education and Research) and M.B.B.S from Koirala Institute of Health Science (BPKIHS), Nepal. 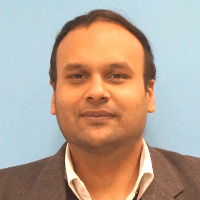 A pilot randomized double blind study to assess the safety and efficacy of rituximab versus combination of rituximab and intravenous cyclophosphamide in the treatment of refractory pemphigus (PGIMER). Over the course of these years, she has learned and mastered the art of dermatology care in the term of laser hair removal with diode and excels in other cosmetic procedures including facial peels, Botox, PRP therapy. 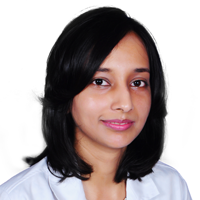 She has worked with the leading dermatologists in India and has been into various International conferences. 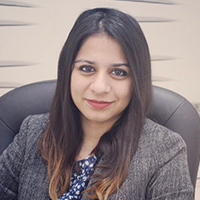 She has participated in all types of dermatological workshops of British Association of Dermatology, DERMACON by Indian Association of Dermatology, European Association of Dermato-Venereology. Clinical Diagnosis of Leprosy. International Textbook of Leprosy. Itolizumab, a novel anti-CD6 monoclonal antibody: a safe and efficacious biologic agent for management of psoriasis. Follicular pemphigus: an observation in patients treated with steroids. Hypopigmented patches on a young man. Young female with multiple pedunculated scalp tumors.